The race for a semi-final spot in the Hero Indian Super League (ISL) has reached a critical stage and Jamshedpur FC knows they have to stitch a winning run, starting with their clash against Mumbai. The Men of Steel are currently fifth on the table (20 points) and are three points off the fourth spot. With just four games left to play in the league, Jamshedpur FC cannot afford to drop points and lose ground in the race for the playoffs. The absence of star forward Tim Cahill and Michael Soosairaj to injuries and Gourav Mukhi and Carlos Calvo to suspensions cause problems for Jamshedpur. 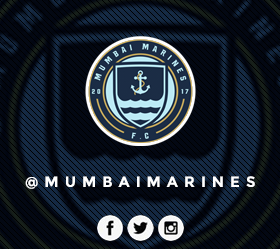 But the fact they have not lost to Mumbai City at all in ISL so far will give them confidence. “Tim Cahill’s injury is a big problem for us. Losing Gourav Mukhi to a ban is a blow too since he was playing very well, so is losing Carlos Calvo. A winger who can beat his man is very important and that is why losing Soosairaj is a big blow for us,” said Ferrando. Jamshedpur FC will need to be wary of Mumbai’s counter-attacking strategy though. The Islanders do not mind giving the majority of the possession to their opponents and prefer hitting teams on the counter. The pace of their forward line which consists of the likes of Arnold Issoko, Moudou Sougou and Rafael Bastos has been utilised to deadly effect by coach Jorge Costa – something that Ferrando needs to be cautious about. However, Sougou did not start Mumbai’s last match due to a hamstring injury, though he has travelled to Jamshedpur. “After tomorrow, we will only have three games to play till the end. Both teams will be under heavy pressure but it is our job to handle the pressure. The pressure will be more on Jamshedpur since we are already in a top-four position while they are trying to come up in the table,” said Costa. Mumbai is looking to breach the psychological 30-point barrier with a win and inch to within a point of league leaders Bengaluru FC. Expect Mumbai City to be cautious and prudent in the way they approach this game.